Someone once said that if being kind is crazy then African is the most craziest continent in the world, so that is what am going to share with you today, the crazy life of the Africa continent but in a fashion perspective. Let’s talk about trends that are as a result of the African culture, most fashion designers get there inspiration from their cultures and that is what has resulted to the dynamic designs that we have. Apart from the dynamic cultures, the African continent is known for their colors and prints. 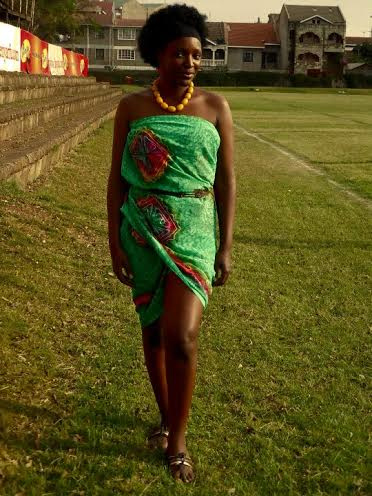 This dress which is made out of the Kanga also known as the “leso” in Swahili is a traditional fabric that is mostly used by the Kenyan and Tanzanian people of Eastern Africa. This black and red dress is fun, colorful and portrays the zeal and power for the ladies that love to stand out among a crowd. It can be worn either for luncheon, dinner, cocktail party or even to the office when you wear a boyfriend coat on. Wearing it with the hanging earrings and silver bracelets makes it casual, and adds class to make the lady look gorgeous. 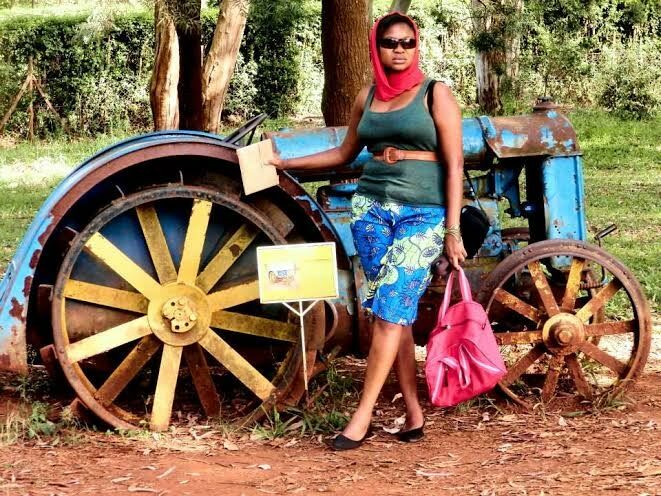 The same Kanga/leso can also be used to create shorts and how you wear them will all depend on you. Here the lady looks chick and stylish because of how she has decided to pair it. She decided to wear the short with a vest top and a belt to emphasize her waist. Plus she added a head scarf on to add her own sense of style. The sleeves dress, worn with a belt and an afro hairstyle reminds me of our Hollywood favorite Solange Knowles who loves her Afro and African roots. As you can see in the picture the lady has decided to match it up with African beads and earrings plus wore some sandals, which are just right for a sunny day out. Stay tuned for Part two of BACK TO THE AFRICAN ROOTS IN STYLE ……..